Approximately every 4 - 6 weeks during your orthodontic treatment, you will attend an adjustment appointment at our office to tighten and adjust your braces. This is a very important part of your treatment and should not be put off. We know: having your braces ‘tightened’ does not sound like a very pleasant undertaking. Fortunately, it’s not as bad as it sounds! In fact, the word ‘tighten’, though common in this context, isn’t completely accurate for this procedure. What we’re really doing is adjusting your braces to move your teeth into the desired position. This can’t all be done in one go, of course, which is why you have regular and fairly frequent adjustment appointments, so we can do it bit by bit. The orthodontic assistant will first remove your elastics, which hold each bracket to the arch wire. 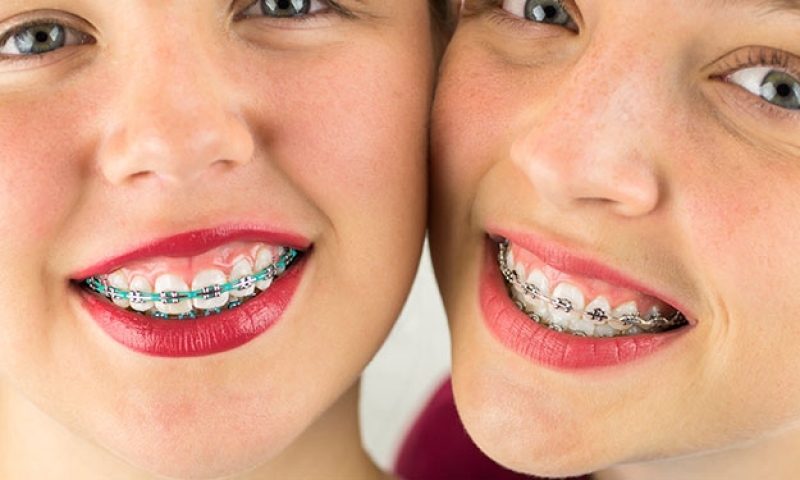 The orthodontist will examine the progress your teeth are making, and replace anything that needs replacing (such as the elastics, or sometimes the archwire). If you need anything replaced, she will let you know. Your archwire (either the one you already had, or a new one) will be placed back into your brackets, and new elastics will be added as well. (This is your chance to choose a new colour! Learn More »). You may find this hurts a bit the first time it happens, but future appointments will be much less painful. If the archwire pokes your cheek, be sure to mention it to your orthodontist right away. It’s not supposed to poke you. If it does, the orthodontist or the assistant can shorten it with clippers. You may feel a little sore or tender after your adjustment appointment, but don’t worry; this should fade after a few days at the most. In the meantime, you can ice your face on and off, or use an over-the-counter painkiller to help you deal with any discomfort you feel. You also may prefer to eat only soft foods during this period. If your archwire starts poking you at some point after your adjustment appointment, come see us right away, and we can clip it shorter for you. If you have any questions or concerns regarding adjustment appointments for your braces, get in touch with Coquitlam Orthodontics today!